We enjoyed a morning of celebrating carnaval, with each class from Year 1 to 6 performing their Carnaval song and dance. Our Student Council awarded Year 5 the “wisselbokaal” trophy. 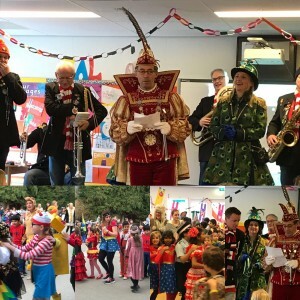 Prins Carnaval visited us, together with his brass band and all his friends joining us for music, dance and celebration.